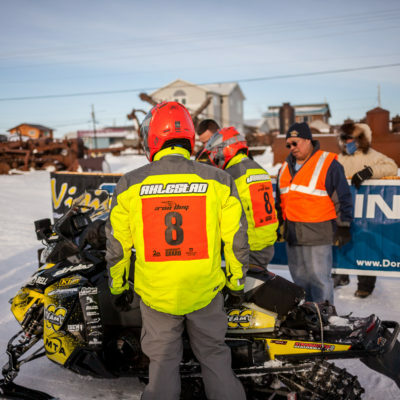 Team #10 of Morgan and Olds maintained their lead from checkpoint to checkpoint after leaving the halfway point in Nome, eventually reaching Fairbanks first at noon on Saturday. Brad George and Robby Schachle of Team #6 caught up to within five minutes of Morgan and Olds, but couldn’t pass them at the end. Team #10 of Morgan and Olds continues to lead the pack, as they checked into Ruby at 12:36 for an 8-hour layover. 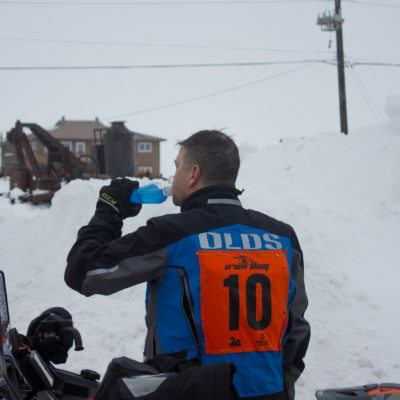 Even though third-positioned Brad George and Robby Schachle are currently resting in Galena, behind Morgan and Olds on the trail, they have a total course time of 28 hours and 56 minutes which is about 35 minutes ahead of Team #10. After an early morning restart, the top 5 Iron Dog racers are already checked out of White Mountain. 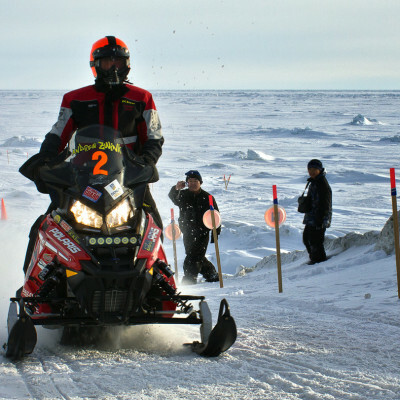 Racers in the 2018 Iron Dog will now head out from Nome four hours earlier than planned, starting at 4 a.m. tomorrow morning. 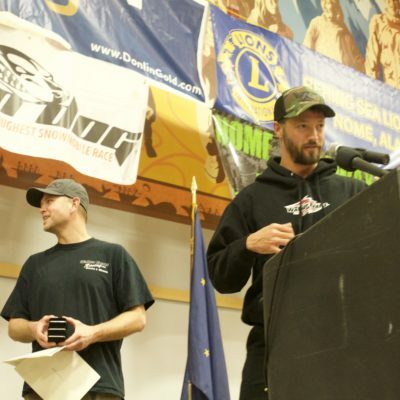 Jim Wilke, President of the Board of Directors, gave out awards to top Iron Dog racers last night, such as $8,000 from the Bering Sea Lions Club for the fastest time overall from White Mountain to Nome, which went to team #10, Chris Olds and Mike Morgan, along with $10,000 in gold coins from Donlin Gold. 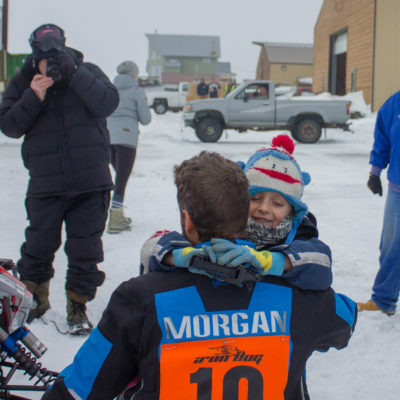 Morgan and Olds of Team 10 crossed the halfway finish line at Nome’s East Front Street early this afternoon, at 12:43. For Morgan, it’s a hometown welcome. 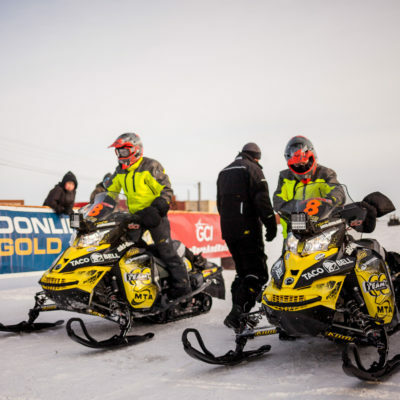 Iron Dog race marshals made the decision yesterday to hold at least the top nine racers in Unalakleet for 30 hours, due to weather conditions in the Norton Sound area. And now race leaders Tyson Johnson and Tyler Aklestad are off and running. 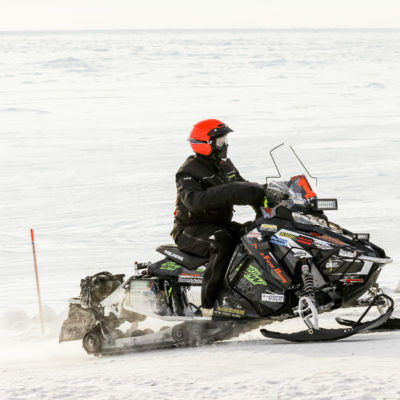 As of Tuesday mid-day, the top racers in Iron Dog 2018 are still in Unalakleet. 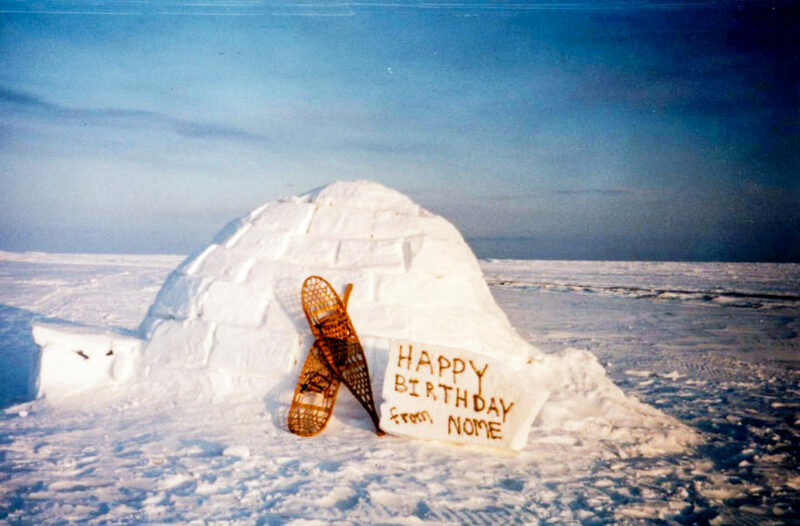 With severe weather along the coast, race marshals decided this morning to extend the layover. 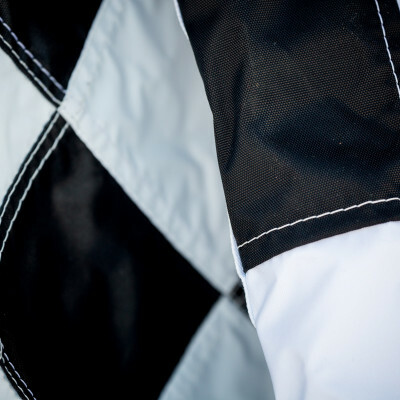 Wilke says 27 teams are now running in the pro class as Steven Boney and Oliver Unruh have decided not to compete due to injuries. 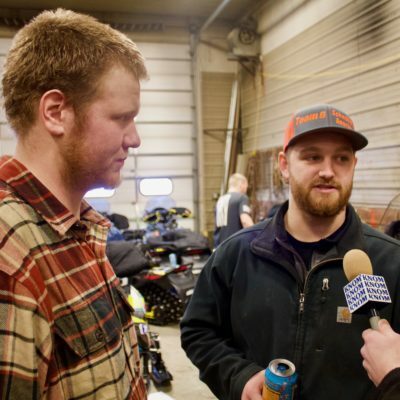 The 2018 Iron Dog pro class roster features Western Alaska racers such as Micah Huss, Tre West and Casey Perkins of Nome, Chris Collins of Kotzebue and his partner Lawrence Jones of Ambler.